In 2006, Perdue Pharma was under investigation for their illegal marketing tactics of the powerful pain killer Oxycontin, that caught the attention of the federal government. In 2002, Rudy Giuliani began working with the big pharma company and some now believe without the help of the former Mayor, Perdue could have stood to bear more responsibility ten years prior to our current crisis demolishing the country today. In 1995, the drug was seen as a medical break through, praised as a long-lasting narcotic that saved patients suffering from moderate to severe pain, and in the process generated $35 billion dollars in profit for Perdue. The pill was pushed as a compelling 12-hour cure for physical torment and the FDA’s approval meant a chance to change the minds of health providers who were hesitant of using synthetic opioid medications previously. But past it’s powerful analgesic properties lies the widely known addictive opioid undertone. 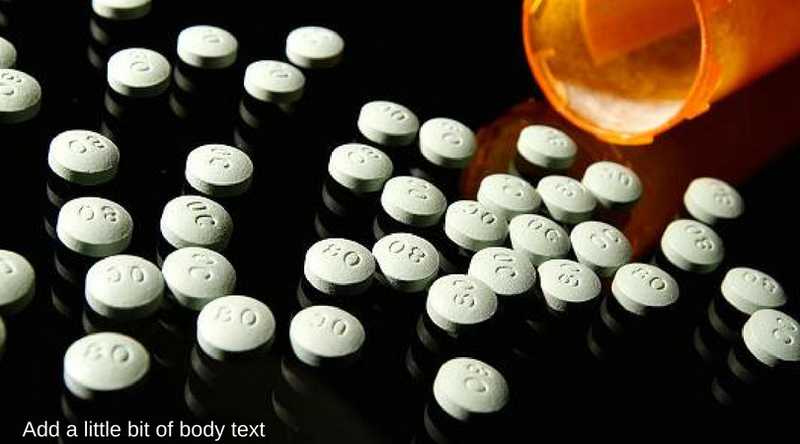 Oxycontin’s base ingredient is Oxycodone, known as the chemical cousin of heroin, but twice as powerful as morphine. Doctors had been wary about using medications derived from opium except in acute care for cancer pain and end of life palliative care. It has always been clear due to medical research testing that strong opium drugs are susceptible to abuse due to the addictive attributes that lie within. “Few drugs are as dangerous as the opioids,” David Kessler, the former commissioner of the Food and Drug Administration told the New Yorker. Upon releasing the drug, Perdue launched a marketing campaign that tried to counter medical evidence about its addictive nature and influence the prescribing habits of doctors. Bankrolling research and paying doctors to diminish the concerns by saying the apprehension was “overblown” and Oxycontin could be used for many health afflictions. Sales people for the pill marketed it as a product “to start with and stay with”, failing to mention the fact that while the drug would soothe pain, patients would eventually feel crippling withdrawal effects between doses, surging the addiction. Perdue had originally marketed the pill as long lasting, for up to 12 hours, but in reality, the relief only lasted a few hours. This made users continuously craving for more and sparking internal desperation to feel the comfort once again. Soon its patients were finding out just how addictive the medication could be, and some turning to desperate measures to try and find an alternative to the expensive pain-relieving pill. Beginning in the early 2000’s, Perdue Pharma was eventually hit with monstrous lawsuits, claiming their pain medication was misbranded and caused thousands of deaths in rural parts of United States. Perdue blamed the users for their abuse of the drug at first, and then retreated to recruit high profile lawyers to farm for more excuses and shift the blame off of their company. Former New York City Mayor Rudy Giuliani joined the Pharmaceutical’s defense team in 2002. Under Giuliani’s guidance, the company pleaded guilty to charges of misleading doctors and patients of the risks of the drug and agreed to pay $630 million dollars to settle the massive lawsuit. Throughout the litigation, 17 million pages of documents, training manuals, marketing strategies and instructions to sales reps were recorded and then sealed as a result of the multimillion dollar payment. Since 1999, two hundred thousand Americans have died from overdoses related to OxyContin and other prescription opioids. Half a million Americans have died from opioid overdoses from 2000 to 2014. According to the American Society of Addiction Medicine, four out of five people who try heroin today started with prescription painkillers. The most recent figures from the Centers for Disease Control and Prevention suggest that a hundred and forty-five Americans now die every day from opioid overdoses. In 2010, the formula for Oxycontin was changed and reformulated in hopes it would be harder to abuse, the pills were made to be more difficult to crush to deter people from snorting or shooting up the powder. In February of this year Perdue Pharma announced it would no longer send sales representatives to physicians’ offices to discuss their opioid products. Some say too little too late, and since the beginning of this year, 320 counties, cities and states have begun suing drug makers for the cost of addiction that has brought on financial burden on local governments unable to contest the rising amount of health care services, judicial costs and child services needed to care for those who have succumbed to opioid dependence.